I'm about to buy a new Mac Mini and I would like to know if it's enough with 8GB RAM or I would need 16GB. Linked is my MBP 15 early 2013 16GB RAM usage in a current daily usage. I have the Mac Mini 2018, and I bought it with the 'default' 8GB of RAM. With several apps open, but just idling, it was at the 'top' of the Green memory pressure band, and loading it beyond that, either with 'work' or data, would start to bring it into the yellow band. I regularly had about 2Gb of swap, and the same of compressed memory. Don't forget that the Intel Graphics unit takes 1.5 Gb straight away. I've just installed 32 Gb of RAM (from Crucial, not Apple! ), and the difference is palpable. Not the answer you're looking for? 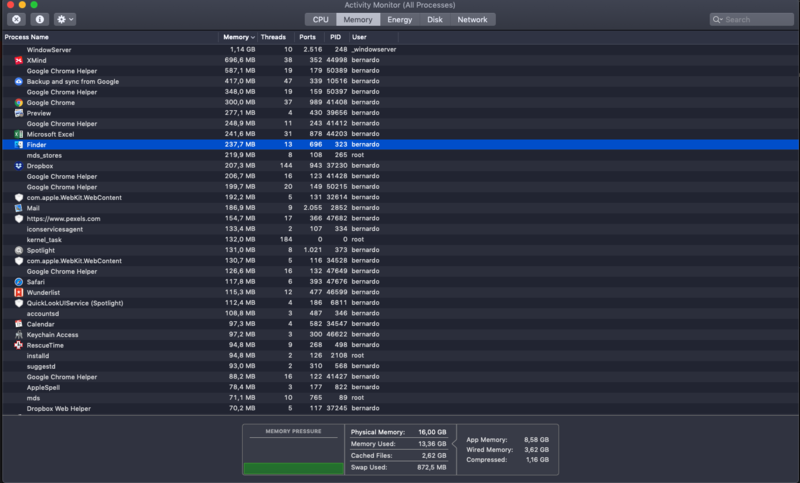 Browse other questions tagged macos macbook memory mac-mini . Should I buy Ram memory DDR3 1066MHz for Mac mini (Mid 2011)? Why is my Mac using so much memory? How to get a notification when I exceed a set amount of RAM?